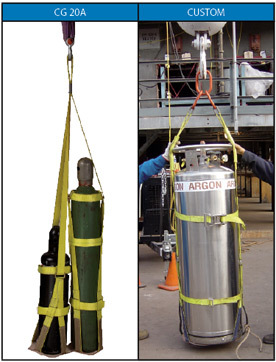 Lift-It® Gas Cylinder Cradles are made from polyester webbing and rated at 1,000 Lbs. Work Load Limit. The cylinder base rests securely in a double ply, leather lined, nylon cradle while the bottle neck loop presses against the cylinder neck, securely holding the cylinder. A tightening band secures the cylinder to the assembly legs making transportation easy and efficient. 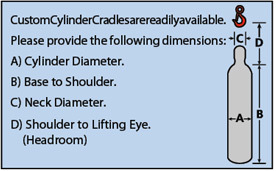 CG 10A adjusts to accommodate 9 to 20 inch (Diameter) by 40 to 65 inch (High) T, K and S cylinders. 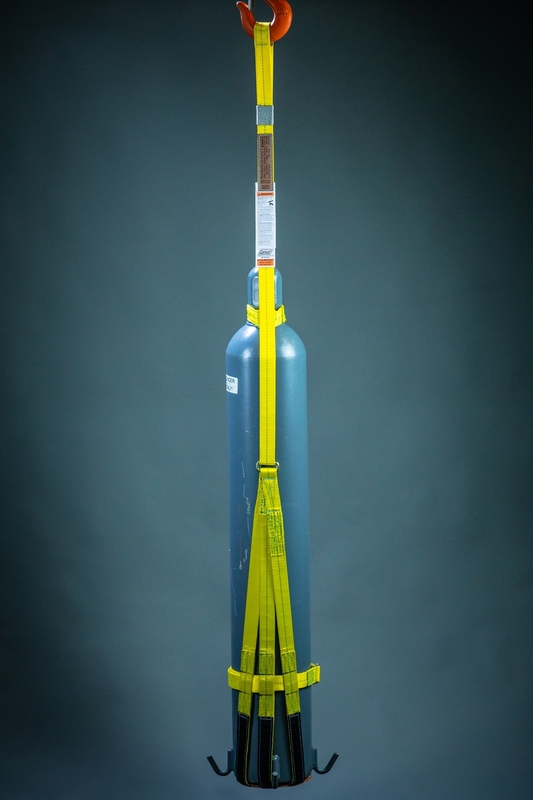 CG 20A adjusts and conveniently handles oxygen and acetylene cylinders in tandem. to weld spatter and sparks. Protective measures must be taken.